Cornell University and Israel’s Technion institute open high-tech campus in NY. The Cornell Tech campus is located on Roosevelt Island in New York. 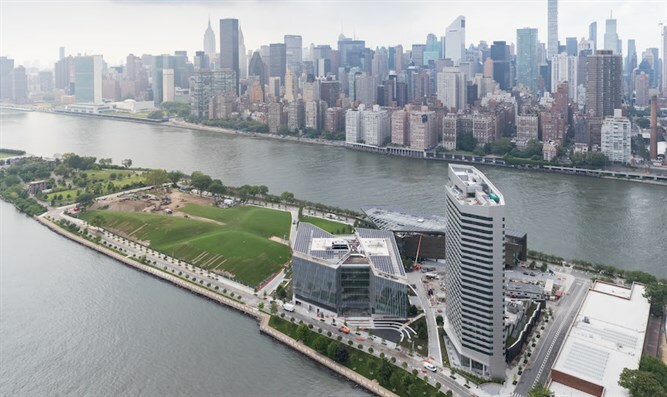 A high-tech teaching and research center born of a collaboration between Cornell University and the Technion - Israel Institute of Technology inaugurated its newly built campus on Roosevelt Island. 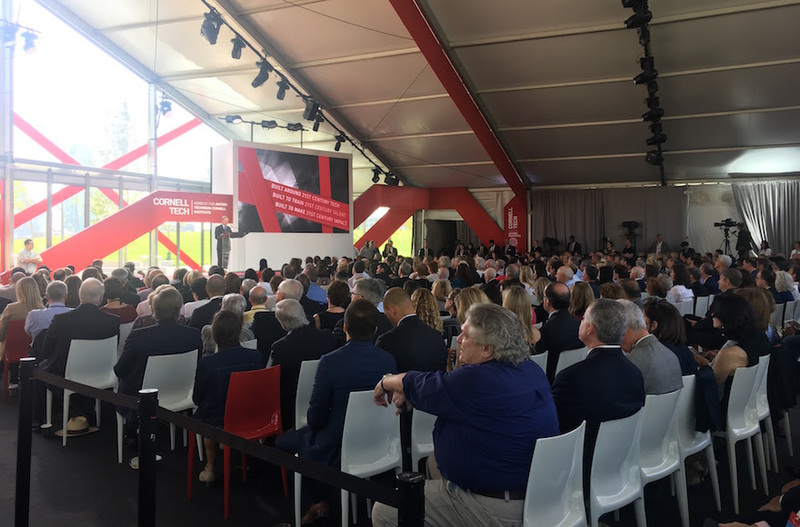 Over 500 people were present for the inauguration Wednesday morning of Cornell Tech and the Jacobs Technion-Cornell Institute, including New York City Mayor Bill de Blasio, New York Governor Andrew Cuomo, former New York City Mayor Michael Bloomberg, Cornell University President Martha Pollack and Technion Institute President Peretz Lavie. Bloomberg, who conceived of the $2 billion project when he was mayor and donated $100 million to it, said Cornell Tech would help re-establish New York as a technological center. “In many ways, this project helps bring New York City back to the future,” he said, citing various technological features of the campus, such as the goal to make the main academic center one of the largest net-zero energy buildings in the world. In 2010, Bloomberg invited top universities to submit pitches to build the campus. The winners would receive both funding and land on Roosevelt Island, a two-mile long island on the East River. In 2011, the city declared Cornell and the Technion winners, and the project opened the following year, operating out of a temporary location in Manhattan’s Chelsea neighborhood. Cornell Tech will offer master’s and doctoral programs in fields related to technology, computer science and engineering. Lavie recalled thinking the Israeli institute had a slim chance of winning the bid. Lavie referenced Cornell University’s founder in showing how Israeli startup culture plays into Cornell Tech’s technology focus.